Does your organization’s security, or lack thereof, keep you up at night? You’re certainly not alone. 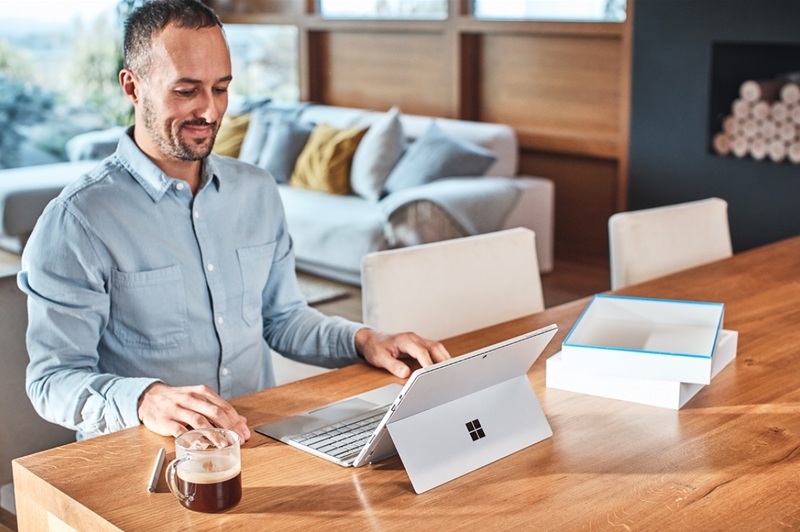 Microsoft recently commissioned national research from IDC to uncover how Canadian small and medium-sized businesses think and feel about technology today. This post shares the highlights from the research and explains how modern security enables business growth and prosperity. Security. You might think that Canadian business owners avoid or ignore the subject of security, until they’re asked. When we asked businesses about their IT skills, a lack of security knowledge topped their list of technical gaps, beyond the cloud, business analytics, or operations. To stem the rising tide of cybercrime, governments in Canada and abroad continue to advanced legislation. Regulations, such GDPR in the EU, put pressure organizations to improve their security practices. These regulations help protect the integrity and privacy of the data collected, including its storage and use. And they compel businesses to report data breaches, which helps everyone identify emerging threats. Nevertheless, the onus remains on business owners and operators to enhance their security and invest in new technology. If security skills are so important, what prevents Canadian businesses from embracing modern security? Our research suggests that owners and operators perceive modern security to cost too much and/or to require too much technical knowledge. In fact, modern security saves money by preventing breaches, which can translate into significant loses. At the same time, few small to medium-sized companies can afford to train, let alone hire, high-tech security personnel. If you share the belief that modern security costs too much, you need to factor in the potential downside of inaction. Unfortunately, cyberattacks cause significant damage. In the same StatsCan report, more than half of businesses attacked reported an average downtime of 23 hours. Close to a third (30 percent) faced recovery costs, 10 percent lost revenue, and 4 percent of the businesses paid ransom. At the same time, few small and medium-sized businesses have the technical skills, or ambition, to navigate the modern threat landscape alone. In fact, Microsoft introduced cloud services to give businesses a safer alternative to the old model of running traditional on-premises servers with do-it-yourself security. By hosting data and running apps in the Microsoft Trusted Cloud, our customers leverage the massive investment the company makes in enterprise-grade security. Microsoft experts work tirelessly, 24/7/365, to protect data and applications from hackers, while ensuring the highest level of cybersecurity seamlessly. No matter how secure and reliable, cloud services only represent one part of successful modern security strategy. Today’s owners and operators must consider every layer of their security—physical and digital, internal and external. They need to consider their physical security, their HR policies, and training as much as they consider where they store their applications and data AND who has access to their network. Above all, Canadian businesses need to ask for help. Our IDC research also indicates that approximately one in five Canadian small businesses get external IT support. Meaning, they manage their IT in-house, and about half the time, it’s just one person managing everything. That lonely IT person is likely too busy troubleshooting devices and managing updates to do much else. Get your IT manager some help! In Canada, Microsoft has built a national network of certified technical professionals who specialize in modern productivity solutions with built-in enterprise grade security. They help you reboot your security strategy and overhaul your operations in the process! Don’t wait for a breach or a cyberattack to act! Talk to a Microsoft solution provider to discover how you can help protect your business from harm. Identify the cyberthreats your business faces, why they threaten the survival of your business, and how you can better protect your organization from crime. Download your copy of “Modern Threats to Small Business: Why you should practice “Business Self-Defense” now! Link here.